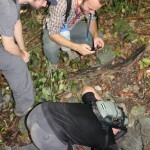 Kastner Group members Dustin Richmond, Perry Naughton, and Ryan Kastner were among a group of researchers documenting cultural heritage at the Maya site El Zotz in the Peten region of Guatemala. 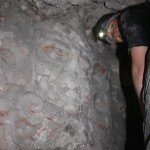 The team, which also included members from Engineers for Exploration and the Explorers Club, used ground lidar, imagery from unmanned aerial vehicles, and structure from motion to provide precise data of the temples, stelae, bowls, tunnels, and masks throughout the site from the Early Classic period. 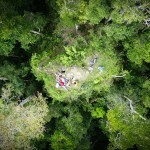 The site is named “Zotz” (the Maya name for “bat”) after the thousands of bats that emerge every night from a nearby cliff. 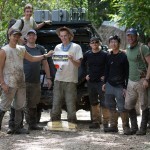 Our team was also able to provide a 3D image of that cliff and determine the location of the bat cave. Additionally, we created 3D models of the excavated tunnels beneath two the main temples, El Diablo and M7-1. After getting the blessing from the Guatemalan government, the results of these expeditions were written up by Calit2, put on the front page of the UCSD website and the Jacobs School website, picked up by Phys.org, Gizmodo, and International Business Times. The US Patent Office recently issued patent number US 8,812,285 B2 to our research group for work related to developing application specific processors. 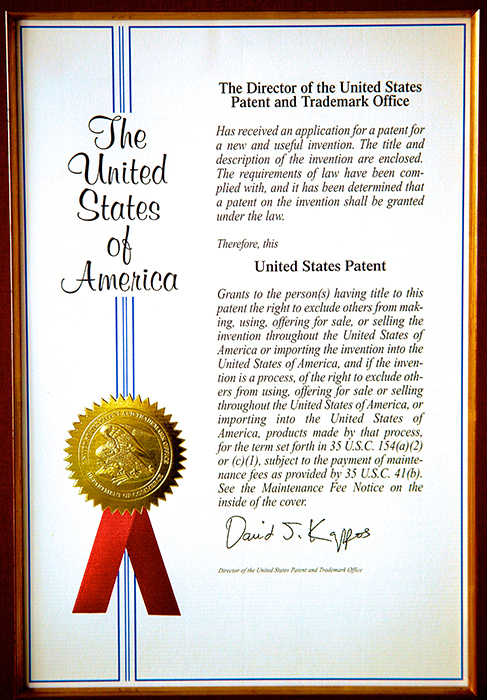 The patent was awarded to Dr. Ali Irturk and Ryan, and is licensable through the UCSD Technology Transfer Office. The patent covers material related to Ali’s PhD thesis, which took a general purpose processor, analyzed a set of applications that would run upon it, and removed unnecessary components in order to reduce the complexity, save power, and increase the performance. 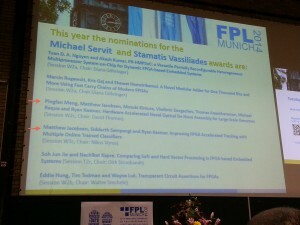 The Kastner Group brought home another award from the International Conference on Field Programmable Logic and Applications (FPL). The odds were stacked in our favor as two of the three papers that we had accepted to FPL were nominated for the best paper award. Unfortunately, only one can win. 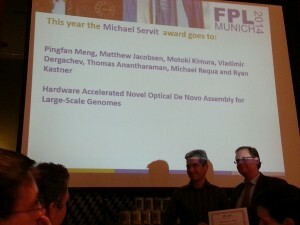 And that one was our paper called “Hardware Accelerated Novel Optical De Novo Assembly for Large-Scale Genomes” authored by Pingfan Meng, Matt Jacobsen, former visiting scholar Motoki Kimura, our collaborators at BioNano Genomics, Vladimir Dergachev, Thomas Anantharaman, Michael Requa, and Ryan Kastner. 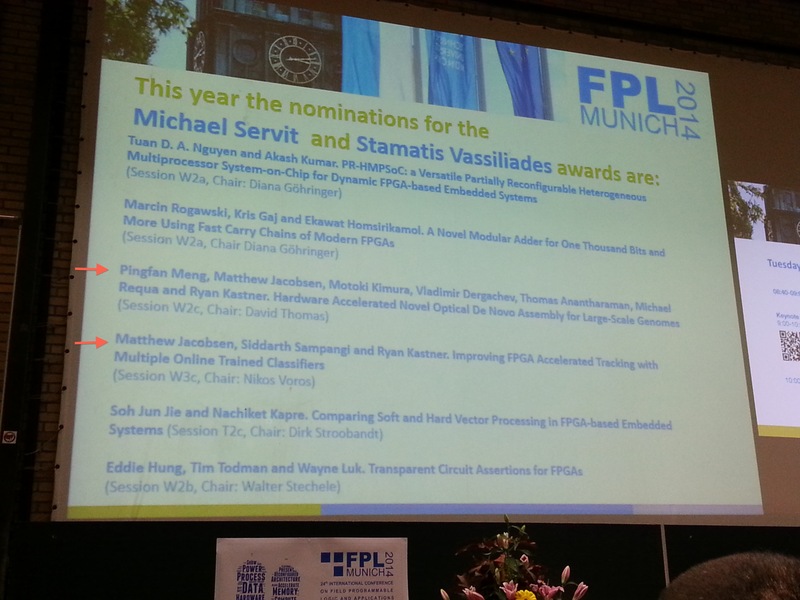 Congratulations is also in order for the best paper nomination of the research titled “Improving FPGA Accelerated Tracking with Multiple Online Trained Classifiers” authored by Matt Jacobsen, former Kastner Group undergraduate Siddarth Sampangi (now a graduate student at UMass Amherst), Yoav Freund, and Ryan. Last year we also had three FPL papers with one winning the Community Award (see previous post for more info). The bar has been set high for next year. Congrats again to all of the authors! 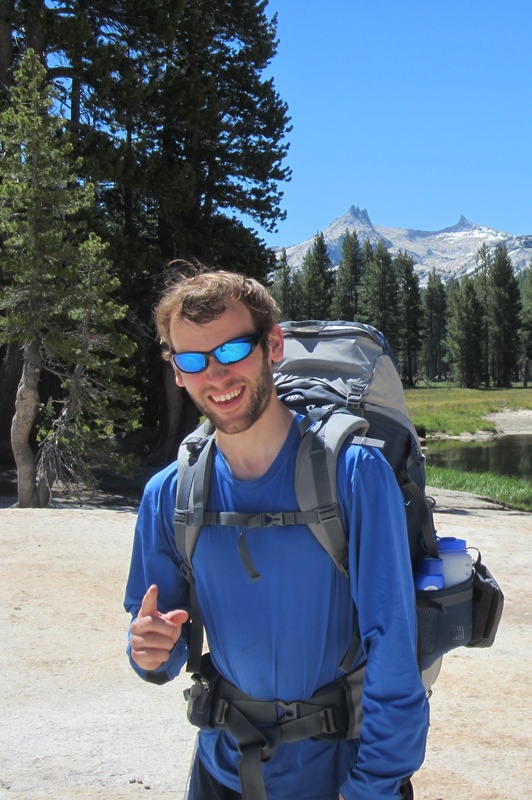 Dustin Richmond was awarded the Achievement Rewards for College Scientists (ARCS) fellowship, which “advances science and technology in the United States by providing financial awards to academically outstanding U.S. citizens studying to complete degrees in science, engineering and medical research”. 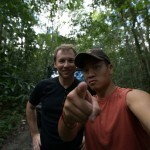 He joins other famous ARCS scholars like Neil deGrasse Tyson and recent Kastner Group PhD alumnus Jason Oberg. More information about Dustin and the award can be found at the UCSD CSE Department news release. Congrats Dustin on the well-deserved award.